Please make sure Box Tops are clean cut, not expired, or torn. Please place Box Tops in a ziploc baggie with your child’s name and teacher's name on the bag. The student who brings the MOST Box Tops will receive a movie theatre gift card!! 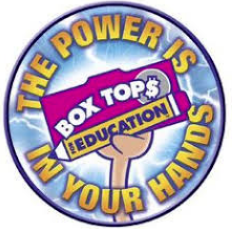 Please turn Box Tops in to your teacher by February 27th, 2019.